How cheap can 4K get? At this point, Roku's only option with streaming players is to make them cheaper and more capable. And so we have the new Premiere and Premiere+, the company's lowest-priced 4K HDR players yet at $40 and $50, respectively. They're arriving just as 4K sets are becoming ubiquitous, and as more consumers might want something more than the apps built into their TVs. Previously, the Premiere line was priced at $70 and $90 -- not much less than the $100 high-end Ultra player. (The Ultra is sticking with the same price and hardware this year, but it's now coming with JBL earbuds.) The new Premiere is available for pre-order today, while the Premiere+ will hit Walmart in October. Both Premiere boxes are significantly slimmer than before, resembling Roku's low-end Express devices instead of its full-sized players. But that's not too surprising, considering how small last year's 4K Streaming Stick+ happened to be. Both players also feature the same quad-core CPU, but the Premiere+ includes one of Roku's voice remotes instead of an infra-red model. In the end, they're the basically same 4K boxes from last year, just a lot cheaper and slimmer. Their size puts the $50 Streaming Stick and the $70 Streaming Stick+ on watch -- all of a sudden, they're not the only portable Roku players. 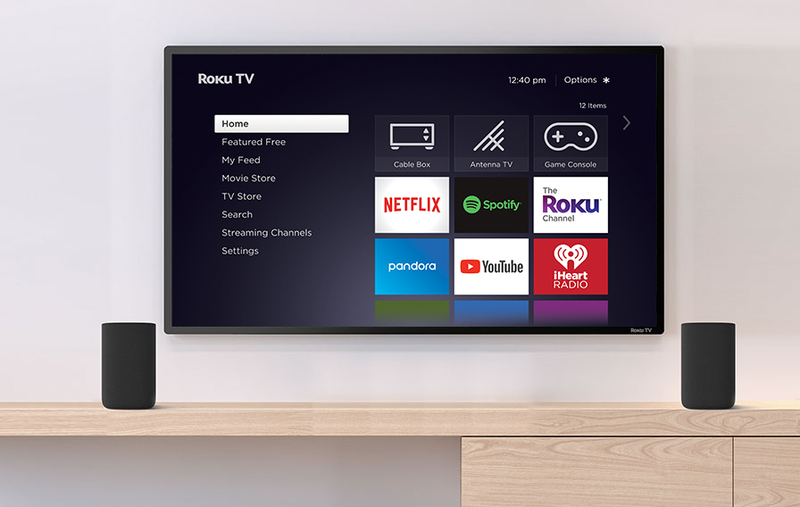 As usual, Roku also has some significant software upgrades in the works, including Google Assistant and Pandora Premium support. Google's integration will arrive alongside Roku OS 9 for set-top boxes in November (with a staggered roll-out into 2019), and OS 8.2 for Roku TVs, which is currently hitting sets. Additionally, you can also look forward to Spotify's glorious return soon, as well as automatic volume leveling across all devices. And don't forget about Roku's wireless speakers for its TVs (sorry, set-top box owners, no support for you yet). They sound fantastic for a relatively inexpensive pair of bookshelf speakers, and they're simple to set up. While there isn't much innovation room left for Roku's streaming devices, it's now positioning to take on Sonos in the wireless speaker market. It's not hard to imagine that the company's TV partners, not to mention retailers, might see plenty of bundling opportunities alongside Roku sets. The wireless speakers are available for pre-order until October 15th for $180, and afterwards they'll go for $200.